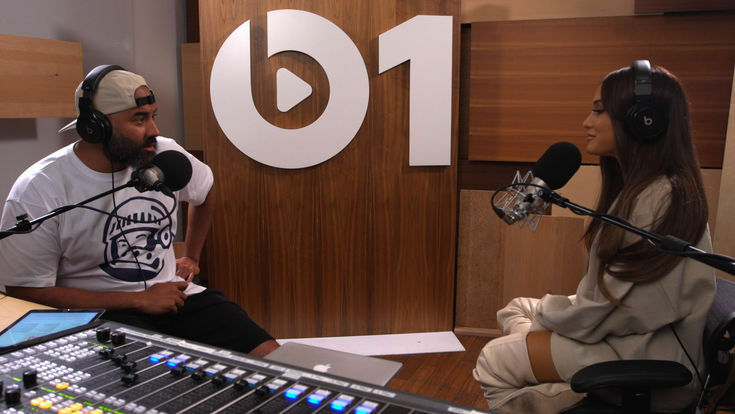 Beats 1 radio host Ebro Darden has been appointed as Apple Music's global editorial head of hip-hop and R&B, according to Billboard. In this newly designated full-time role, which he starts today, the report claims Darden will "manage a team of hip-hop and R&B editors in developing editorial strategies for artists, albums and song releases" in the United States and abroad. If we're doing our job, we'll be able to get down at the community level and connect with people to not only help artists service their communities but help those communities thrive. This is a global position as well. So, as we build this out, I'll be doing the same thing I want to do in America in the U.K., Africa, India, Japan, Brazil and other countries. I'll be wherever R&B and hip-hop are being consumed and working to create communication amongst communities around the world through Apple Music — making sure that black music is getting recognized and developing the next superstars. We're excited that Ebro is joining us in a full-time capacity. Having dedicated his life and career to hip-hop, R&B and pop music, he has so much to offer. One of Ebro's most defining characteristics is that he has great ears for where R&B and hip-hop are transcending and evolving to beyond even the borders of the U.S. He'll obviously take a leadership position for us not just in hip-hop and R&B but also in the communities where the music is made, which is also exciting and something unique to Ebro. Darden will remain based in New York City and he will continue to host his popular show "Ebro in the Morning" on the local HOT 97 radio station on weekday mornings. He will also continue to showcase the latest hip-hop music and news on his Beats 1 show on weekday afternoons, according to the report. Darden was one of the three original Beats 1 radio anchors alongside Zane Lowe, based in Los Angeles, and Julie Adenuga, based in London. Well thank god for that since hip-hop is so egregiously underrepresented on Apple Music. Yes. You launch the AM app, and hip-hop is so over represented it's ridiculous. It’s becoming less and less of an accomplishment to get appointed to Apple’s “leadership team” with every appointment. Sacramento son continuing to shine. Big up ya self! Here’s an idea.....maybe Apple should have different live radio stations if they want people to listen. With at least 60 percent of their music being hip-hop, you’re going to eliminate a huge chunk of your subs not wanting to listen to Beats 1. I’ve never listened to it live. Because all it is stuff I don’t like. Make it more like Sirius or something. Also the radio tab needs to have more than just most recent stations I’ve made.....why not keep every station I’ve made.....like pandora.....or like iTunes Radio used to do. All apple has to do is make minor tweaks to functionality to make it truly amazing for everyone. Thankfully, there are other music services that balance support of popular music with a broader menu. As a music service not beholden to the limitations of a physical record store should. That Apple self-limits in this way is very music an “apple” thing and I think speaks to their need, or the need of certain people within Apple, to be seen as “popular,” or aligned with what is popular. Apple always serves the needs of its brand. Always. There is the problem - Apple did not start out to join the most popular , think different was the catch cry. If you want to think Apple under jobs , think Beatles ;) . Cook - whatever makes the most money .... so hip hop it is .